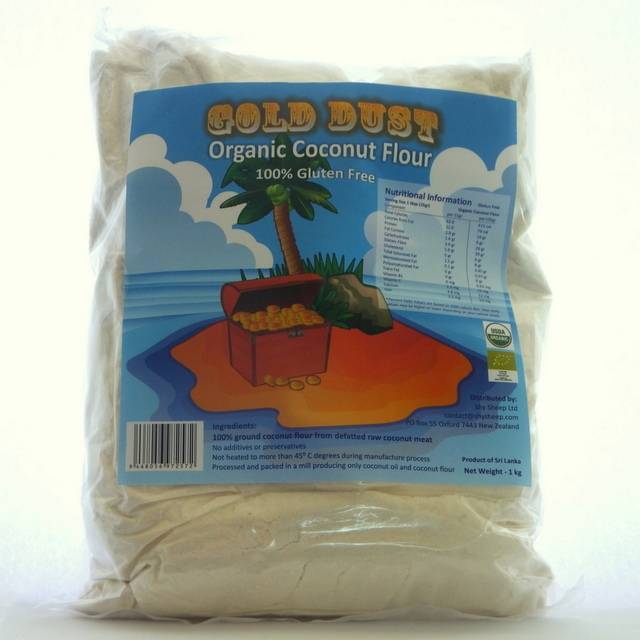 Gold Dust Organic Virgin Coconut Flour is 100% gluten free. Not heated to more than 45°C during manufacture 100% gluten free. Good source of fibre. Good sprinkled on or mixed in food as is, or for baking. 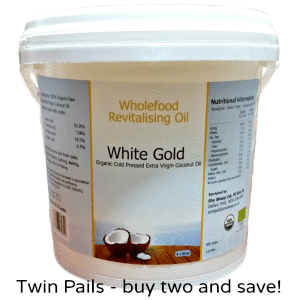 This flour is made by grinding coconut meal resulting from extraction of oil under low heat. 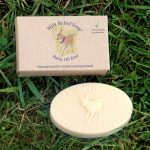 It is actually raw organic coconut flour because the temperatures are maintained under 45 degrees Celsius. No additives or preservatives Most manufacturers use Sodium Caseinate to get the flour to roll smoothly. Sodium Caseinate is an additive normally used in coconut flour/coconut milk powder/dairy milk powders and other ground flour to give the smooth talcum fineness. 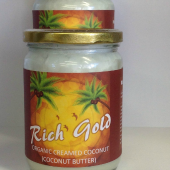 Gold Dust Organic Coconut Flour does not contain any Sodium Caseinate. It is 100% ground coconut flour made from defatted raw coconut meat. 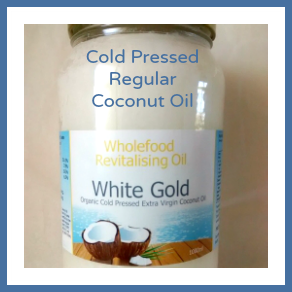 Processed and packed in a mill producing only coconut oil and coconut flour. Product of Sri Lanka.